The Renault-Nissan-Mitsubishi alliance wants to bring Android-powered apps like Google Maps and Google Assistant to its vehicles by 2022. 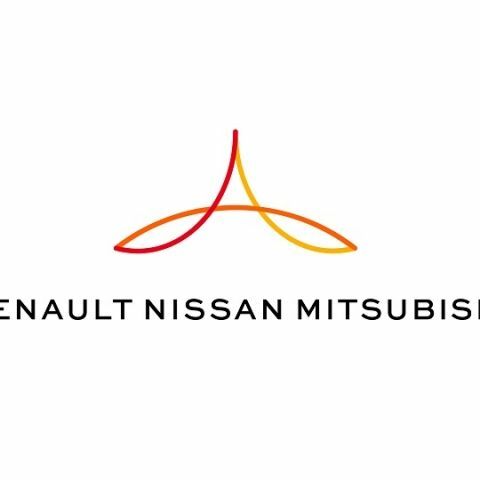 The Renault-Nissan-Mitsubishi alliance and Google have entered into an agreement to build Android-powered infotainment systems for Renault, Nissan, and Mitsubishi vehicles. According to a press release by the Alliance, vehicles sold by the Alliance members will use Android to provide turn-by-turn navigation, calling and messaging functionalities, media control, and a means to manage vehicle functions. This will happen with the help of Google apps like Google Maps and Google Assistant. Additionally, the infotainment systems will allow users to download automotive apps off Google Play Store. They will also be compatible with devices running other operating systems, like Apple iOS. This new partnership forms part of the Alliance’s efforts to equip more of its vehicles with connectivity and cloud-based services as part of its Alliance 2022 mid-term plan. Under this plan, Renault-Nissan-Mitsubishi is targeting increased sales of more than 14 million units a year by the end of 2022. The press release sent out by the Alliance says that the plan also involve the launch of 12 new zero-emission electric vehicles, new autonomous-driving technologies, and the ongoing rollout of the Alliance Intelligent Cloud. 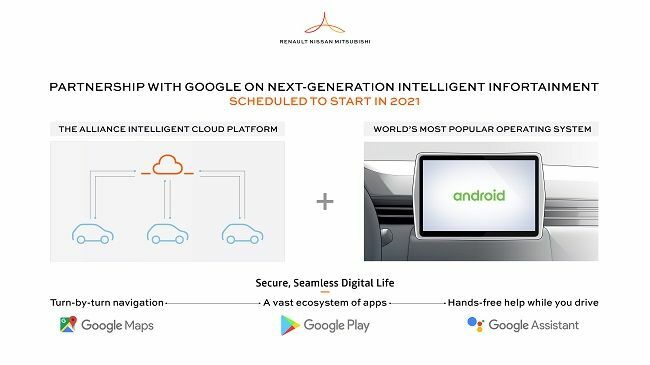 “Our partnership with Google will offer owners of our vehicles rich user experiences that are currently available only outside the vehicle or, to a limited extent, by connecting an Android device to supported vehicles. We are building powerful connected and seamless on-board/off-board experiences into our vehicles in addition to the features of Google applications and services that many users are accustomed to, including Google Maps, the Google Assistant and the Google Play Store,” commented Hadi Zablit, Senior Vice President of Business Development at Renault-Nissan-Mitsubishi. Renault–Nissan–Mitsubishi is a strategic partnership formed by Groupe Renault, Nissan Motor, and Mitsubishi Motors in 1999. The Alliance has strategic collaborations with other automotive groups, including Daimler and Dongfeng. The Alliance is particularly proud of the zero-emission vehicles, Nissan LEAF and Renault ZOE. With the Google partnership, it hopes to offer autonomous drive, connectivity features and services on affordable vehicles. What is the proper way of setting up an Android-powered device for app development? What Is the Google Android SDK?